Throughout Eastertide this year we read from the Revelation to John. The Revelation actually presents itself as a letter and our reading this morning is the salutation. During Eastertide our first reading is from the Acts of the Apostles. Today’s reading is set in the context of the arrest of the apostles (5:17) by the high priest and the temple police. During the night, however, they escaped, assisted by an angel. They were found the next day in the temple precincts, teaching. They were once again arrested, and the following scene occurs. After this many wanted to kill them, but Gamaliel, a Pharisee on the council (the Sanhedrin), intervenes, arguing that if these men are of human origin they will fail, but if they are from God, nothing can stop them. He prevailed and the apostles were let go after a flogging. This passage has been used over the centuries to blame Jews for the death of Jesus. It is important to note here that Peter is speaking to the religious authorities here and not all Jews. As a whole, Psalm 118 is one of Israel’s greatest sons of thanksgiving and praise. 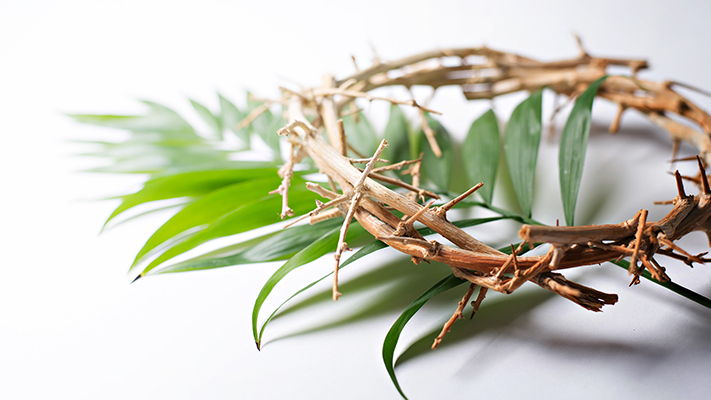 Psalm 118 has long been associated with Holy Week and Easter. The Book of Common Prayer uses it on Palm Sunday, Easter Day, throughout Easter Week and now on this Second Sunday. In addition, Psalms 113—118 are traditionally used during Passover. All four Gospel writers use this psalm in regards to the triumphal entry of Jesus into Jerusalem. Matthew uses it again at 21:42. The last of the psalms is a song of praise. It is a fitting conclusion to the psalter. Every line contains the Hebrew hll, “praise.” The “timbrel” (v. 4) was a hand-held percussion instrument similar to a tambourine. Throughout Eastertide this year we read from the Revelation to John. The Revelation actually presents itself as a letter and our reading this morning is the salutation. As in many letter openings, several issues are identified that will be important for the work as a whole. There are a number of descriptive titles for God and Jesus here, and they will be repeated and expanded upon later. Jesus is described, for instance, as “the faithful witness,” and the theme of witnessing will come to the fore again and again in Revelation. Traditionally “John” is the same John the Evangelist and Apostle of the Gospel and the letters, but the potential date of Revelation’s initial writing and its location, point to some other writer. This auther is often referred to as “John the Divine.” The beginning and ending letters of the Greek alphabet (Α and Ω) became a prominent early Christian symbol for Jesus (used twice more in Revelation at 21:6 and 22:13). Our Gospel reading continues last week’s story in John’s Gospel of Jesus’ appearance to the disciples after the resurrection. Mary Magdalene has seen the Lord and has told the others as much. Yet they still are hidden in fear. Jesus comes among them with a message of peace. Despite their betrayal and abandonment of him, they are forgiven and are gifted with the Spirit (this is the Gospel of John’s “Pentecost”). They are to practice this forgiveness with others; this is central to the message they are to proclaim. Thomas is not with them for this appearance (perhaps he alone is not afraid?) and demands to see for himself. Once he does he believes as well. Jesus then speaks of us, those who do not see and yet believe. The Scripture quotations (except for the psalm) are from the New Revised Standard Version Bible, copyright © 1989 by the Division of Christian Education of the National Council of Churches of Christ in the U.S.A., and are used by permission. All rights reserved. The Psalm translation is from The Book of Common Prayer. Commentaries are copyright © 2016 Epiphany ESources, 67 E. Main St., Hornell, NY 14843. www.EpiphanyEsources.com. All rights reserved. Permission is given to copy for group study. Bulletin inserts are available. For more information, go to our website. It is an ancient tradition to read from The Acts of the Apostles during Eastertide. Acts is the second volume of the evangelist Luke. At this point in the story, the apostle Peter has had a strange dream in which a voice had told him “What God has made clean, you must not call profane.” At the same time, a Roman Centurion named Cornelius had a dream to seek out Peter and invite him to his home. When Peter arrives, Cornelius, a Gentile, welcomes him, and Peter begins to speak, which is today’s reading. Immediately after this, the Holy Spirit falls down on Cornelius and his family, and the Jesus movement makes a major advance—the Gentiles will be as welcome in this movement as Jews. The speech contains an accusation that “the people of Israel….put him to death by hanging him on a tree.” We know the story is more complicated than that. It was certain Jewish religious authorities who goaded Pilate to send Jesus to a Roman-executed death. This reading comes near the end of Isaiah, echoing two passages from earlier in the book, Isaiah 25:6-10 and 11:6-9. It is a grand apocalyptic vision of a renewed creation living fully within the dream of God. This new creation hearkens back to Israel’s creation myth with people living extraordinarily long lives and all the curses of life accumulated over the years reversed (except for the serpent!) In Christian terms, this is the fully resurrected life both for humanity and the whole creation. 17 [Thus says the Lord God], I am about to create new heavens and a new earth; the former things shall not be remembered or come to mind. 18 But be glad and rejoice forever in what I am creating; for I am about to create Jerusalem as a joy, and its people as a delight. 19 I will rejoice in Jerusalem, and delight in my people; no more shall the sound of weeping be heard in it, or the cry of distress. 20 No more shall there be in it an infant that lives but a few days, or an old person who does not live out a lifetime; for one who dies at a hundred years will be considered a youth, and one who falls short of a hundred will be considered accursed. 21 They shall build houses and inhabit them; they shall plant vineyards and eat their fruit. 22 They shall not build and another inhabit; they shall not plant and another eat; for like the days of a tree shall the days of my people be, and my chosen shall long enjoy the work of their hands. 23 They shall not labor in vain, or bear children for calamity; for they shall be offspring blessed by the Lord—and their descendants as well. 24 Before they call I will answer, while they are yet speaking I will hear. 25 The wolf and the lamb shall feed together, the lion shall eat straw like the ox; but the serpent—its food shall be dust! They shall not hurt or destroy on all my holy mountain, says the Lord. Psalm 118 has long been associated with Holy Week and Easter. Verses 1-2, 19-29 were appointed for the procession of palms a week ago. Thanksgiving for God’s “steadfast love” is the overall theme. The psalm then goes on to recount the deeds of steadfast love that call for gratitude. Verses 14-24 have so long been associated with Easter that it is hard to hear them in anything other than a Christian resurrection context. The “cornerstone” verse is used by Jesus in Mark (12:10) and Matthew (21:42) and by the apostle Peter in Acts (4:11). In Chapter 15 of 1 Corinthians, Paul speaks more about his understanding of the resurrection than in any of his letters. The Christians in Corinth were skeptical at some level. Paul begins the chapter by reminding them of what he has taught (15:3-11). In verses 12-19, he argues for the resurrection by use of logic. Todays’ reading is his grand summary, putting the resurrection in the context of the whole story of God. Even Paul, however, cannot escape the reality that believers still die, and so he declares, “The last enemy to be destroyed is death.” The destruction of death was seen by many early Christians (as well as many still today) as the great purpose of the death and resurrection of Jesus. There is no actual story of the resurrection; there is only the empty tomb. 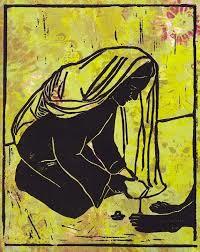 In all four Gospels, it is women who are the first witnesses to the empty tomb, chief among them Mary Magdalene. In the Eastern Orthodox tradition, Mary is accorded the title “apostle” because of this. Another commonality of most post-resurrection stories of Jesus is his identification by the wounds he carries on his body. Did Mary not recognize Jesus because his resurrection body was quite different? Or is he “disguised as the gardener? Or is she still in shock? We do not know. What we do know is that the sound of his voice calling her name triggers her recognition. 1 Early on the first day of the week, while it was still dark, Mary Magdalene came to the tomb and saw that the stone had been removed from the tomb. 2 So she ran and went to Simon Peter and the other disciple, the one whom Jesus loved, and said to them, “They have taken the Lord out of the tomb, and we do not know where they have laid him.” 3 Then Peter and the other disciple set out and went toward the tomb. 4 The two were running together, but the other disciple outran Peter and reached the tomb first. 5 He bent down to look in and saw the linen wrappings lying there, but he did not go in. 6 Then Simon Peter came, following him, and went into the tomb. He saw the linen wrappings lying there, 7 and the cloth that had been on Jesus’ head, not lying with the linen wrappings but rolled up in a place by itself. 8 Then the other disciple, who reached the tomb first, also went in, and he saw and believed; 9 for as yet they did not understand the scripture, that he must rise from the dead. 10 Then the disciples returned to their homes. 11 But Mary stood weeping outside the tomb. As she wept, she bent over to look into the tomb; 12 and she saw two angels in white, sitting where the body of Jesus had been lying, one at the head and the other at the feet. 13 They said to her, “Woman, why are you weeping?” She said to them, “They have taken away my Lord, and I do not know where they have laid him.” 14 When she had said this, she turned around and saw Jesus standing there, but she did not know that it was Jesus. 15 Jesus said to her, “Woman, why are you weeping? Whom are you looking for?” Supposing him to be the gardener, she said to him, “Sir, if you have carried him away, tell me where you have laid him, and I will take him away.” 16 Jesus said to her, “Mary!” She turned and said to him in Hebrew, “Rabbouni!” (which means Teacher). 17 Jesus said to her, “Do not hold on to me, because I have not yet ascended to the Father. But go to my brothers and say to them, ‘I am ascending to my Father and your Father, to my God and your God.’” 18 Mary Magdalene went and announced to the disciples, “I have seen the Lord”; and she told them that he had said these things to her. There is no story of the resurrection available to us, only that of the discovery of the empty tomb. The four Gospel writers all agree the first witnesses to the empty tomb were women, chief among them Mary Magdalene. In the Eastern Orthodox tradition, Mary is accorded the title “apostle” because of this. Luke adds the names of Joanna, and Mary the mother of James, and “the other women,” presumably those identified at Luke 8:1 as having been among Jesus’ followers and who “provided for them out of their resources.” Only Luke adds the detail that the [male] disciples did not believe the women when they told of their discovery. 1 But on the first day of the week, at early dawn, [the women] came to the tomb, taking the spices that they had prepared. 2 They found the stone rolled away from the tomb, 3 but when they went in, they did not find the body. 4 While they were perplexed about this, suddenly two men in dazzling clothes stood beside them. 5 The women were terrified and bowed their faces to the ground, but the men said to them, “Why do you look for the living among the dead? He is not here, but has risen. 6 Remember how he told you, while he was still in Galilee, 7 that ‘the Son of Man must be handed over to sinners, and be crucified, and on the third day rise again.’” 8 Then they remembered his words, 9 and returning from the tomb, they told all this to the eleven and to all the rest. 10 Now it was Mary Magdalene, Joanna, Mary the mother of James, and the other women with them who told this to the apostles. 11 But these words seemed to them an idle tale, and they did not believe them. 12 But Peter got up and ran to the tomb; stooping and looking in, he saw the linen cloths by themselves; then he went home, amazed at what had happened. Luke’s story of Jesus’ entry into Jerusalem reads much like the same story in the other Gospels, although Luke has edited it to strengthen some of his favorite themes. There are no palms or branches in Luke’s story, probably because they had a nationalistic implication, and Luke wants us to understand that Jesus arrives in Jerusalem as a king, but not solely as the king of the Jews. He adds both the word “king” to the quote from Psalm 118:26 in verse 38 and the addition of words heard from the angels in the birth story (2:14). Jesus’ disciples will not be silenced; the stones would shout out, recalling John the Baptist’s saying in 3:8 that “God is able to from these stones to raise up children to Abraham. 50:4 The Lord God has given me the tongue of a teacher, that I may know how to sustain the weary with a word. Morning by morning he wakens— wakens my ear to listen as those who are taught. 5 The Lord God has opened my ear, and I was not rebellious, I did not turn backward. 6 I gave my back to those who struck me, and my cheeks to those who pulled out the beard; I did not hide my face from insult and spitting. 7 The Lord God helps me; therefore I have not been disgraced; therefore I have set my face like flint, and I know that I shall not be put to shame; 8 he who vindicates me is near. Who will contend with me? Let us stand up together. Who are my adversaries? Let them confront me. 9a It is the Lord God who helps me; who will declare me guilty? Paul quotes to the Philippians what was most likely an early Christian hymn. Jesus shows us how to live in his own self-emptying (kenosis in Greek) in order to fulfill God’s purpose for him. Jesus’ obedience was ultimate—the giving of his own life on behalf of others. This weakness, however, is exalted by God. 2:5 Let the same mind be in you that was in Christ Jesus, 6 who, though he was in the form of God, did not regard equality with God as something to be exploited, 7 but emptied himself, taking the form of a slave, being born in human likeness. And being found in human form, 8 he humbled himself and became obedient to the point of death— even death on a cross. 9 Therefore God also highly exalted him and gave him the name that is above every name, 10 so that at the name of Jesus every knee should bend, in heaven and on earth and under the earth, 11 and every tongue should confess that Jesus Christ is Lord, to the glory of God the Father. Luke’s version of the passion and death of Jesus is carefully crafted in several ways to emphasize several themes. First, Jesus’ innocence is clearly proclaimed, even by Herod and Pilate. Luke makes it clear that it was the religious leadership that was ultimately responsible for Jesus’ death. Second, Luke is gentler on both the disciples and the crowd. Yes, there is betrayal, but there is also forgiveness and a portion of the crowd (and even the religious leadership) who remain sympathetic to Jesus. Third, the whole story is played out as the plan of God, following the prophecy of the suffering servant, as well as the paschal sacrifice. Luke’s most major change is in the scene on the cross, where Jesus remains calm and in control, accepting his fate and bestowing forgiveness. Overall, verse 22:37 is a kind of summary of Luke’s understanding of what is going on here: “For I tell you that this scripture must find its fulfillment in me, ‘He was reckoned among the lawless.’ For that which is written about me has a fulfillment” (translation of Luke Timothy Johnson). 23:1 Then the assembly rose as a body and brought Jesus before Pilate. 2 They began to accuse him, saying, “We found this man perverting our nation, forbidding us to pay taxes to the emperor, and saying that he himself is the Messiah, a king.” 3 Then Pilate asked him, “Are you the king of the Jews?” He answered, “You say so.” 4 Then Pilate said to the chief priests and the crowds, “I find no basis for an accusation against this man.” 5 But they were insistent and said, “He stirs up the people by teaching throughout all Judea, from Galilee where he began even to this place.” 6 When Pilate heard this, he asked whether the man was a Galilean. 7 And when he learned that he was under Herod's jurisdiction, he sent him off to Herod, who was himself in Jerusalem at that time. 8 When Herod saw Jesus, he was very glad, for he had been wanting to see him for a long time, because he had heard about him and was hoping to see him perform some sign. 9 He questioned him at some length, but Jesus gave him no answer. 10 The chief priests and the scribes stood by, vehemently accusing him. 11 Even Herod with his soldiers treated him with contempt and mocked him; then he put an elegant robe on him, and sent him back to Pilate. 12 That same day Herod and Pilate became friends with each other; before this they had been enemies. 13 Pilate then called together the chief priests, the leaders, and the people, 14 and said to them, “You brought me this man as one who was perverting the people; and here I have examined him in your presence and have not found this man guilty of any of your charges against him. 15 Neither has Herod, for he sent him back to us. Indeed, he has done nothing to deserve death. 16 I will therefore have him flogged and release him.” 18 Then they all shouted out together, “Away with this fellow! Release Barabbas for us!” 19 (This was a man who had been put in prison for an insurrection that had taken place in the city, and for murder.) 20 Pilate, wanting to release Jesus, addressed them again; 21 but they kept shouting, “Crucify, crucify him!” 22 A third time he said to them, “Why, what evil has he done? I have found in him no ground for the sentence of death; I will therefore have him flogged and then release him.” 23 But they kept urgently demanding with loud shouts that he should be crucified; and their voices prevailed. 24 So Pilate gave his verdict that their demand should be granted. 25 He released the man they asked for, the one who had been put in prison for insurrection and murder, and he handed Jesus over as they wished. 26 As they led him away, they seized a man, Simon of Cyrene, who was coming from the country, and they laid the cross on him, and made him carry it behind Jesus. 27 A great number of the people followed him, and among them were women who were beating their breasts and wailing for him. 28 But Jesus turned to them and said, “Daughters of Jerusalem, do not weep for me, but weep for yourselves and for your children. 29 For the days are surely coming when they will say, ‘Blessed are the barren, and the wombs that never bore, and the breasts that never nursed.’ 30 Then they will begin to say to the mountains, ‘Fall on us’; and to the hills, ‘Cover us.’ 31 For if they do this when the wood is green, what will happen when it is dry?” 32 Two others also, who were criminals, were led away to be put to death with him. 33 When they came to the place that is called The Skull, they crucified Jesus there with the criminals, one on his right and one on his left. 34 [Then Jesus said, “Father, forgive them; for they do not know what they are doing.”] And they cast lots to divide his clothing. 35 And the people stood by, watching; but the leaders scoffed at him, saying, “He saved others; let him save himself if he is the Messiah of God, his chosen one!” 36 The soldiers also mocked him, coming up and offering him sour wine, 37 and saying, “If you are the King of the Jews, save yourself!” 38 There was also an inscription over him, “This is the King of the Jews.” 39 One of the criminals who were hanged there kept deriding him and saying, “Are you not the Messiah? Save yourself and us!” 40 But the other rebuked him, saying, “Do you not fear God, since you are under the same sentence of condemnation? 41 And we indeed have been condemned justly, for we are getting what we deserve for our deeds, but this man has done nothing wrong.” 42 Then he said, “Jesus, remember me when you come into your kingdom.” 43 He replied, “Truly I tell you, today you will be with me in Paradise.” 44 It was now about noon, and darkness came over the whole land until three in the afternoon, 45 while the sun's light failed; and the curtain of the temple was torn in two. 46 Then Jesus, crying with a loud voice, said, “Father, into your hands I commend my spirit.” Having said this, he breathed his last. 47 When the centurion saw what had taken place, he praised God and said, “Certainly this man was innocent.” 48 And when all the crowds who had gathered there for this spectacle saw what had taken place, they returned home, beating their breasts. 49 But all his acquaintances, including the women who had followed him from Galilee, stood at a distance, watching these things. 50 Now there was a good and righteous man named Joseph, who, though a member of the council, 51 had not agreed to their plan and action. He came from the Jewish town of Arimathea, and he was waiting expectantly for the kingdom of God. 52 This man went to Pilate and asked for the body of Jesus. 53 Then he took it down, wrapped it in a linen cloth, and laid it in a rock-hewn tomb where no one had ever been laid. 54 It was the day of Preparation, and the sabbath was beginning. 55 The women who had come with him from Galilee followed, and they saw the tomb and how his body was laid. 56 Then they returned, and prepared spices and ointments. On the sabbath they rested according to the commandment. The readings are taken from The New Revised Standard Version of the Bible © 1989 by The Division of Christian Education of The National Council of Churches of Christ in the U.S.A. The translation of the Psalm is from The Book of Common Prayer. Commentary on the readings is by The Rev. Michael W. Hopkins, © 2019, Epiphany Esources, www.epiphanyesources.com. All rights reserved. Permission granted to copy for group study with attribution. Bulletin inserts are available. Visit our website for more information.